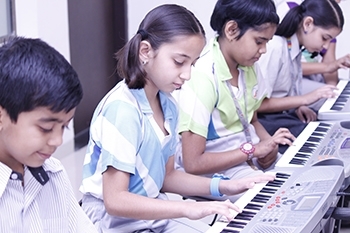 The Global Indian International School (GIIS) was promoted in 2011 by the Singapore based Global Schools Foundation. 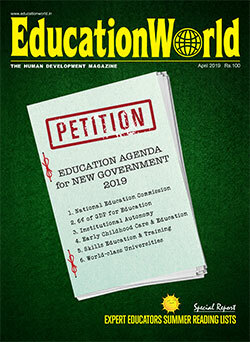 The foundation has completed 14 years of exemplary work in education and has been lauded with international acclaim. With 21 campuses in 7 countries, the foundation strives to provide holistic learning and personality development opportunities for students. The Global Indian International School, Chinchwad started with just 300 students; as of 2017 the student strength has reached over 3500. GIIS, Chinchwad is a coeducational day school affiliated with the Central Board of Secondary Education (CBSE), New Delhi; a Montessori Plus programme is offered to students from pre-nursery through K2 level. The school offers classes from pre-nursery through class XII. 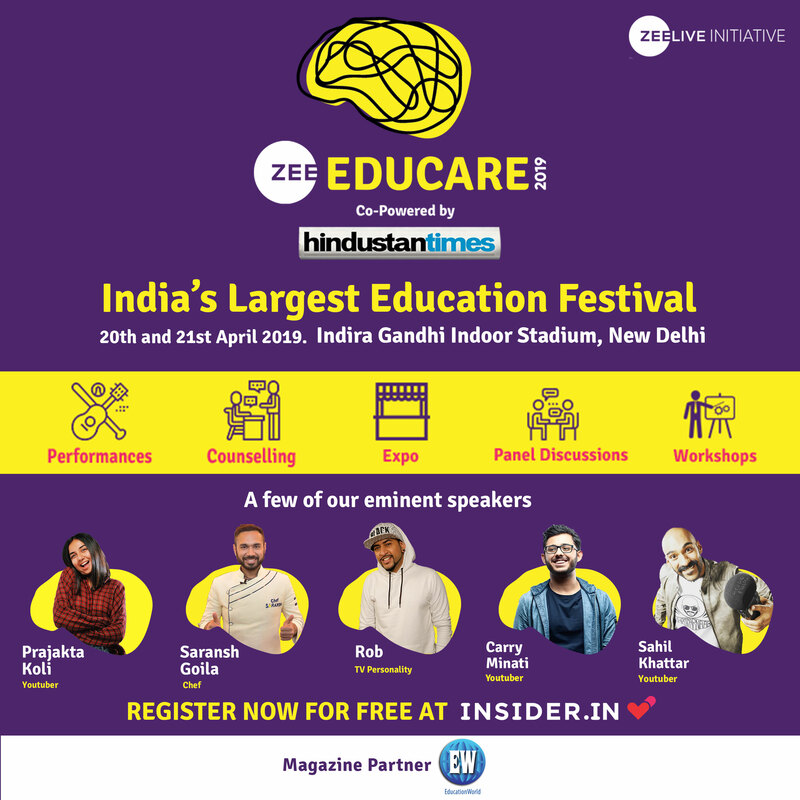 A dynamic framework of holistic learning – the 9 Gems Model – is followed by the school in order to provide every student with opportunities of personality growth, academic excellence and vocational training. Sited on the Pimpri-Chinchwad Link Road, the 2.5 acre campus of Global Indian International School hosts 110 ICT enabled classrooms. 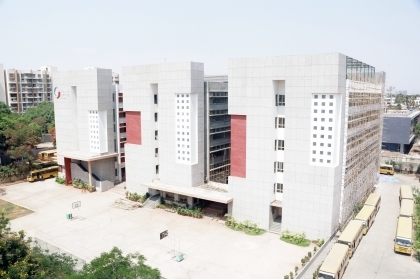 The campus hosts 12 laboratories, including the Science labs (Physics, Chemistry and Composite), IT Labs, Music Lab, Art Lab, Dance Lab and a Sports Lab. The school also hosts one-of-its-kind 3D printing Lab. 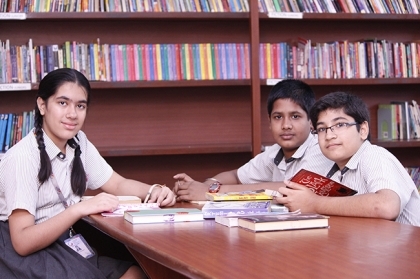 Students at GIIS, Chinchwad have access to over 5200 books that are available in the school library. The campus is well-lit, well ventilated, Wi-Fi enabled and provides ample infrastructure for supporting several extra-curricular activities. Dhyanchand Sports Centre – a 6200 sq. ft. roof top multi-sports facility – is much loved by the senior students of the school. Facilities for skating, karate and indoor games such as carom, chess and table tennis are also provided. The school houses an art studio, a dance room and two music rooms. An infirmary with 4 beds is maintained to deal with small medical emergencies; a qualified nurse is present on the campus throughout the working hours. Besides these facilities, a bi-annual medical check-up is conducted for all students by experienced medical practitioners from ‘Aditya Birla’. Pickup and drop transport service is also available. Global Indian International School, Chinchwad is a K-12 School, i.e. 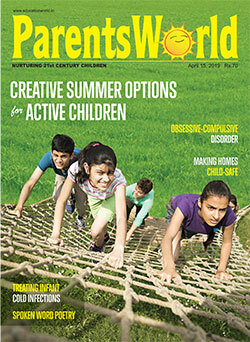 it offers classes from pre-nursery through class XII. Science, commerce and humanities are the streams of study offered to classes XI-XII. The CBSE curriculum is followed from class I through XII; pre-nursery, nursery, K1 and K2 follow the Montessori Plus curriculum. The Montessori Plus system is an amalgamation of general pre-school practices and Montessori education practices that enable an age-specific, holistic learning in every child. The school believes in student led conferences, Crossover and Integrated learning besides learning based on context and research. Various field trips and hands on work in the labs ensure that these learning practices are employed. The 9 Gems method followed by the school encompasses nine important areas of learning, which are Academic Excellence, Collaborative and Project based learning; Sports, Health and Fitness Excellence, Visual and Digital Arts; Personality Development, Speech and Drama; Creativity, Innovation and Problem Solving; Entrepreneurship and Leadership Development; Universal values, Ethics and Discipline; Community Connection, Care and Conserve; Life Skills, Career and Vocational Competencies. The teachers keep abreast of the latest developments in the education industry and their skills are constantly enhanced by attending teacher training programmes for atleast 45-55 days every year. Global Indian International School, Chinchwad, is an ISO certified premier institution that was ranked No. 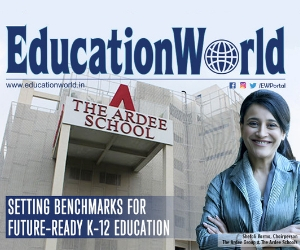 5 in Pune by the Education World India School Rankings 2016-17 in the Day Coed category. Students from GIIS, Chinchwad have bagged laurels at the district, state and national levels in several sports such as Rhythmic Gymnastics, Table Tennis, Badminton, Archery, Skating and more. Students of GIIS Chinchwad have bagged laurels in several inter GIIS cultural events.